The Huron, Perth, Waterloo, and Wellington regions are home to roughly 6,500 square km (4,000 square miles) of flowing rivers, sprawling farmlands, and friendly cities and towns that will keep your engine purring for days on end. This often overlooked part of the province is ripe for discovery. Welcome to Huron, Perth, Waterloo and Wellington! 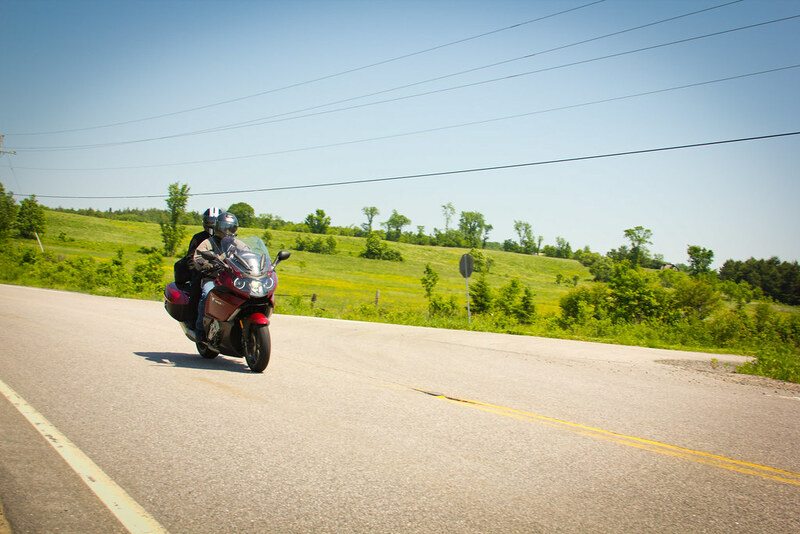 The location of the tri-cities – Waterloo, Kitchener, and Cambridge – makes getting to and from gorgeous rural motorcycle terrain a breeze; the best that both worlds have to offer are only minutes of easy travel apart. And minutes will surely turn to hours of exploring the area's fantastic roads. North of Waterloo in St. Jacobs and Conestogo, Mennonites operate many of the local business. There are markets full of farm-fresh produce, delicious home-made baked goods, and antiques and other curiosities as far as the eye can see. Pack some goodies from the farmers market for a riverside picnic at one of the area's pristine natural parks. The Conestogo River and the Grand River snake through these fertile farmlands, which means twisty rural roads with minimal traffic, and historic covered bridges (the West Montrose Covered Bridge is a particular favourite of mine). If you make your way back to the city, you will find no end of interesting things to do and places to eat and drink. Much beloved by locals, Ethel's Lounge has a classic roadhouse feel with pool tables and memorabilia from the golden age of motorcycles. For something a little more upscale, the newly established Beer Town offers fine food and a massive selection of hard-to-find craft beers . Before or after dinner, catch a flick at the renowned Princess Cinemas, or check out the region's museums and art galleries. When you are ready to retire, there are countless options in the city or the country that are sure to please. The Walper Hotel in Kitchener offers historical ambiance and comfortable rooms; and out in St. Jacobs, Benjamin's Restaurant & Inn provides a classic country inn experience. West of the tri-cities, people from around the world gather in Perth County for the Stratford Festival and excellent cuisine. 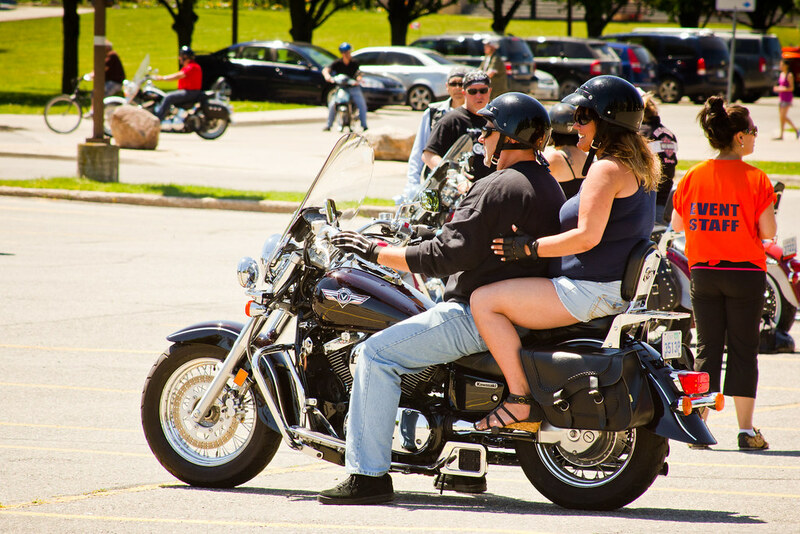 And who would have thought that Canada's mecca for Shakespeare would also be one of the region's friendliest places to motorcycle enthusiasts? The Forbidden Ride is a weekend-long gathering of motorcyclists that promises to be one of the most memorable events on your calendar. And for the ladies, The Wicked Ride is a women's only weekend of petro-fueled scavenger hunts and more. And you know that with a motorcycle culture as vibrant as this that the region is home to some of the most ride-worthy pavement you will find. Check out this motorcycle routes map provided by Ridethecounties.ca for ideas. Accommodations in the area are plentiful, and for those of you looking to kick back like an Elizabethan royal you will have no end of posh options in and around Stratford. But more economical choices like The Swan Motel are just as plentiful. The Perth County Visitor's Association's list of accommodations might help narrow your search. 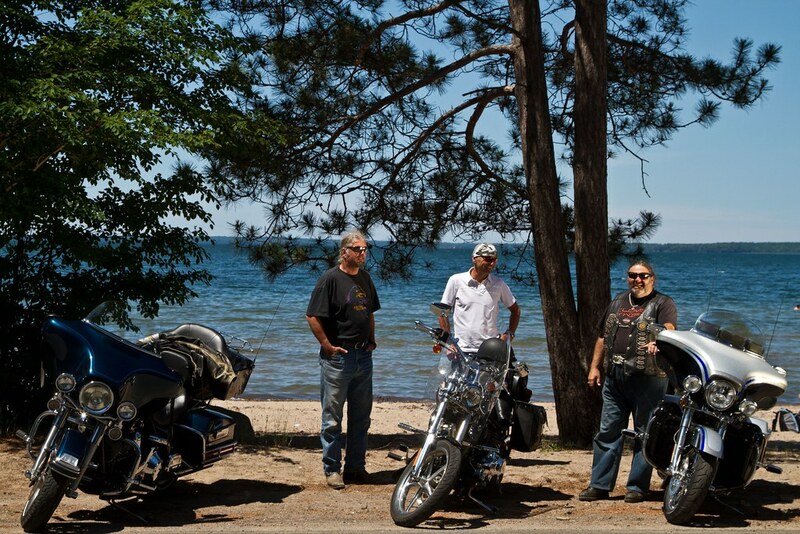 Approximately seventy km from Stratford, the clear waters of Lake Huron lap against its eastern shore. A shoreline cruise here will take you along pristine beaches and through sepia-toned beach-front communities with unique restaurants, pubs, and shops. Spectacular sunsets over the sparkling waters of the lake will follow you all the way up to the beautiful Port of Goderich and beyond. Inland from the lake there are ample opportunities to gather edibles from local farm stands for a picnic; and fascinating historical sites like the Huron Gaol and the Balls Bridge will inspire you with a sense of the region's past as your engine rumbles beneath you. Keep in mind, that the action of the Grand Bend Motorplex is never far away. Though a week or weekend in Huron county will make for a solid trip, the relaxed pace of life in this part of the country begs for a longer stay. Imagine settling into a cottage near the beach for a couple of weeks and heading out on the bike whenever the mood strikes you. Huron County's tourism site offers a comprehensive list of rental cottages as well as shorter-term accommodations. North of Waterloo, Wellington County is home to breathtaking natural wonders. Ride the twisty rural roads along the Grand River to Elora Gorge where the waters of the Grand rush over the rocks below you. If you are inclined to wet a line, the trails here take you to some of the best trout-fishing waters in the area. Or if you're travelling light, just hop in for a dip. Be sure to consult with the conservation authority for safe places to swim, as the water is incredibly fast in some sections of the gorge. In my opinion, there is no more stunning place to dine in the entire region than the Elora Mill, which is perched precariously above the gorge. Why leave this stunning environment to sleep when well-maintained campsites can be found at the Elora Gorge Conservation Area and a little further north at Belwood Lake Conservation Area. There's nothing like sleeping under the stars after a day on the motorcycle. Learn more about the food, culture, trails, beaches and more at OntarioTravel.net's Huron, Perth, Waterloo and Wellington Region section.